In addition to student development and open discussion, we will provide two keynote addresses by professionals who have experience working within the field of sport and exercise psychology. Barbara Walker, Ph.D. is the founder and owner of The Center for Human Performance in Cincinnati, OH where she provides consultation for elite athletes and business professionals in the area of peak performance. 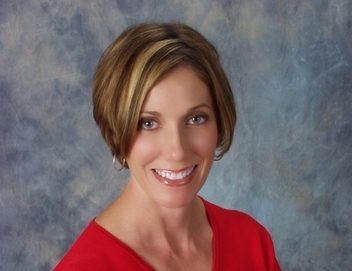 She is a licensed clinical psychologist and a certified sports consultant. Dr. Walker regularly presents at national and local professional conferences. She is a member of both the American Psychological Association and Association of Applied Sport Psychology (AASP), as well as a member of the sport psychology registry with the United States Olympic Committee. She recently served on the Board of Directors of AASP, as the Professional Services Division Head, and currently serves on the board of directors for the Cincinnati Flying Pig. Dr. Walker demonstrates a passion for peak performance principles applying them in her personal life as a competitive athlete in the sports of marathon, triathlon, and duathlon and cycling. Dr. Walker's keynote will focus on the integration of sport psychology across several performance domains. Jeff Martin, Ph.D. is currently a full professor at Wayne State University in Detroit, MI where he has worked for the past 22 years. Dr. Martin obtained a Ph.D. in exercise and sport psychology and is published in both research articles and book chapters. His major research has been predominately on understanding the determinants of elite disability sport performance using self-efficacy theory with an additional focus on understanding physical activity engagement using social cognitive theory. Dr. Martin has also written extensively on psychological skill development using a personal development model of psychological skills training. He has published extensively in the Adapted Physical Activity Quarterly, the Journal of Teaching in Physical Education and the Journal of Sport and Exercise Psychology. Dr. Martin has received over $8 million in funding to support various research programs. Furthermore, Dr. Martin is currently on the Editorial Boards of the Journal of Sport and Exercise Psychology, the Journal of Applied Sports Psychology, the Pamukkula Journal of Sport Science, and sport psychology section editor for Palestra. He is also currently the Editor for Sport, Exercise, and Performance Psychology, and the official journal of Division 47 of the American Psychological Association. Dr. Martin joins us to provide reflections on the past 25 years of sport and exercise psychology in the Midwest and discuss the future directions of the field. Ball State will also promote the upcoming 30th AASP International Conference hosted in Indianapolis on Oct 14-17th, 2015!